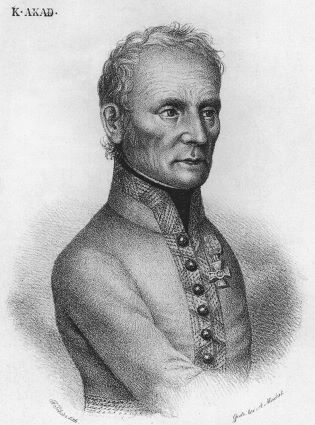 In 1805 Feldmarschalleutnant Karl Mack Freiherr von Leiberich lost more than 50,000 Austrian troops in the opening moves of the Austerlitz campaign after having been isolated by the rapid advance of Napoleon’s army on Ulm in Bavaria. Mack enlisted in the Austrian Army as a cavalry trooper in 1770 and, making rapid progress, was offered a commission in 1777. Six years later he received his first staff appointment, and during the war against the Turks in 1789 he was made a baron for his services at the siege of Belgrade. Following a return to regimental duties in 1790 he accepted a position as chief of staff to Feldmarschall Friedrich Josias Graf Saxe-Coburg-Saalfeld (generally known as Saxe-Coburg) in 1793 and earned widespread praise for his contribution to the victories at Aldenhoven and Neerwinden. He stepped down after the defeat at Tourcoing the following year but returned to the army in 1796 as chief of staff to the Army of the Interior with the rank of Feldmarschalleutnant. In 1798 having accepted command of the Neapolitan army, he led it in a disastrous campaign against French-occupied Rome. As public order broke down he surrendered to the French for his own protection and eventually returned home to semi-retirement in April 1800. 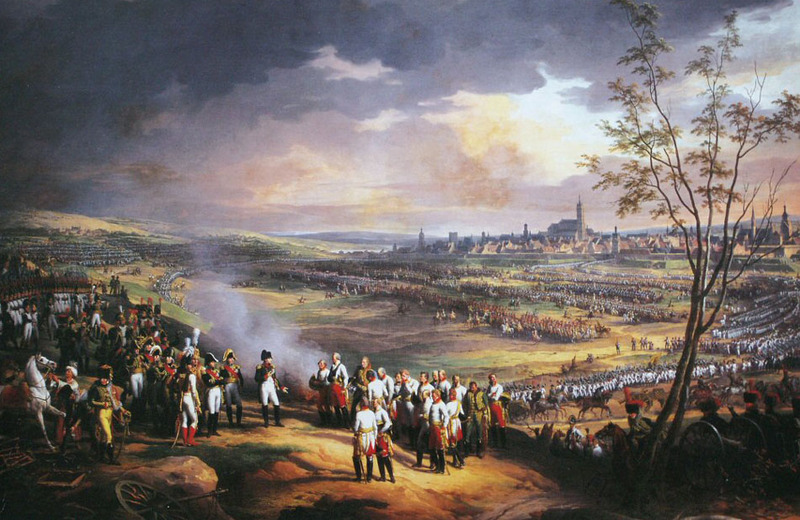 France’s defeat of Austria in 1800 led to a period of military reform overseen by Archduke Charles. His view that the army was as-yet unprepared for a return to war angered those who supported the necessity of a Russian alliance to protect Austria from French ambitions. In 1804, to back their argument, the war party resurrected Mack’s career and presented him as their military expert. His confident but overoptimistic ideas concerning tactical and logistical reform and plans for a rapid mobilization of the army gained influential support from those frustrated by Charles’s more sober views. Appointed chief of the quartermaster general staff, Mack pushed through his program of reforms in the first half of 1805, resulting in a state of confusion in the army on the eve of the war of the Third Coalition. Nominally under the command of the young Archduke Ferdinand, but in reality led by Mack, an Austrian army advanced into Bavaria, taking up a position centered on Ulm on the Danube, to await Russian support. This support did not arrive before Napoleon was able to surround the Austrian position. Isolated and facing disunity among his officers, Mack accepted that the Russians were too far away to help and surrendered the city on 20 October. The campaign cost the Austrian army more than 50,000 men. Released on parole, Mack returned in disgrace to Vienna, where he was court-martialed, stripped of his rank, and imprisoned for two years. His reputation gained some rehabilitation in the postwar years, but he lived out the rest of his life as a recluse. References and further reading Castle, Ian. 2002. “The Rise of `the Unfortunate Mack’.” Osprey Military Journal 4, no. 2: 3-6. Rothenberg, Gunter E. 1982. Napoleon’s Great Adversaries: The Archduke Charles and the Austrian Army, 1792-1814. London: Batsford. This entry was posted in Austria, Biography by MSW. Bookmark the permalink.